Providing enrichment to our pets - it's an ethical obligation. I appreciate that providing pet care, such as we provide at Pet Camp, doesn’t require anywhere near the formal education that being a veterinarian requires, and maybe since our job focuses on “fun” the idea of “enrichment” seems pretty obvious. I’m glad to say that while Pet Camp may not know much about what it takes to be a veterinarian, we do seem to know a heck of a lot about “enrichment. 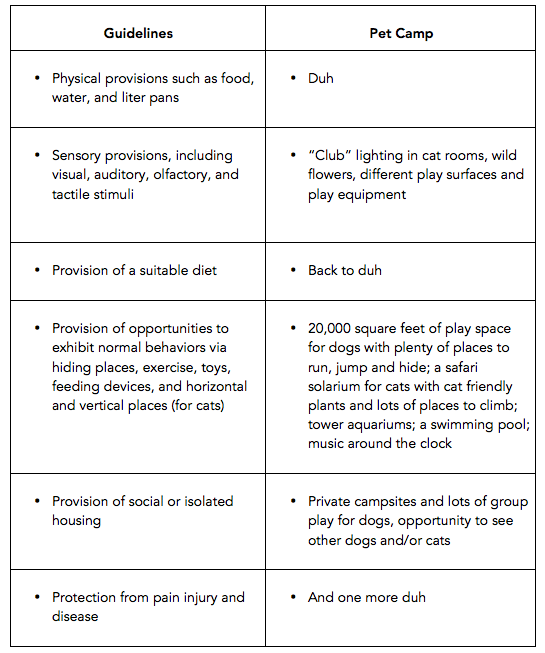 Frankly, we don’t know if enrichment of dogs and cats is an ethical issue or not, we just know that it’s an essential part of providing quality pet care (whether at your home or at Pet Camp), and we’re glad to be able to say that we’re going above and beyond in providing enrichment for our campers.